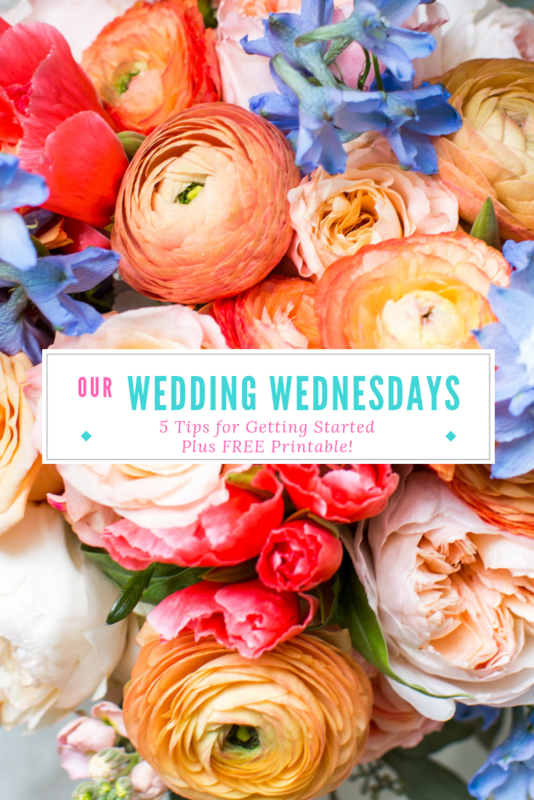 Last week, I shared my first Wedding Wednesday post. After trying out a designated day for wedding planning, I realized it was a great way to get the wedding ball rolling. It really helped to get my fiance involved without having to nag him. Want to try it out? Here are my 5 tips to make your first meeting a success- plus a free printable to get you started! 2. Encourage participation. For my fiance, "wedding planning" meant listening to me babble on and on about locations and venues while he looked up from his phone every once in a while and nodded. Instead of grumping at him to get off his phone, or complaining that he's ALWAYS on it, I decided to be friendly instead. I suggested he grab his laptop and set it up next to me so we could research together. If we both search, we spend half as long looking. Or that's what I told him, anyway! 3. Come prepared. Choose a topic or two that you think is important to discuss and work on creating a solution. For us, it was location and budget. I created a worksheet that stated how much money I had set aside for the wedding, how much my fiance had, and how much each of us would save up over the next year or so. Then, I added any contributions from family and tallied it all up. This will be our estimated budget. This first step really helped us to eliminate options that were not affordable. 4. Keep it positive. It's really easy to be defensive, especially if you have your heart set on what your wedding should be. Throughout the process, remind yourself that responding with an attitude never helped anyone. It's perfectly fine to assert yourself, but don't resort to insults or extreme statements, like "you always...." or "you never....". Instead, explain your side and ask lots of questions to understand their feelings. Do they really dislike the venue, or do they think it costs too much? Can you compromise on something that is important to them? 5. Summarize and plan ahead. At the end of your meeting, take a minute to go over everything you discussed to make sure everyone is on the same page. Create an agenda for the next week or an assignment that will be discussed at the next meeting. Working on figuring out your overall budget? Download my free printable to get started! What are your tips for making wedding planning more enjoyable?